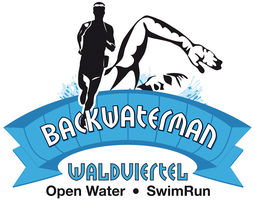 Regulations Open Water - backwatermans Webseite! Below 18 ° C wearing a wetsuit, as regulated by the FINA, is mandatory. Local conditions (constantly accessible shore, etc.) allow a deviation from this rule, if this is announced by the organizer. From 24.0 ° C there is absolute neoprene prohibition! Sport swimmers must swim without Neo regardless of the water temperature. Swimsuits are allowed. Below 18 degrees (similar to FINA) neoplasm exists. The S-Class is reserved for club swimmers or ice swimmers. Enclose OSV license upon registration. Registration takes place at the respective organizer, as separate S-class. In principle, you decide on the first two events for this ranking in the Cup. At water temperatures over 24 degrees is Neoprene prohibited, below 18 degrees Neoprene mandatory. Due to specific requirements, specific rules regarding safety may apply depending on the sea / country. The general swimmers are counted as usual in 4 age groups. Individual organizers have also provided a 60 + rating. Since 2016, there is a "code of honor" for the draft swimming! According to the code of honor, swimmers who spend the majority of the event in the wake of a faster swimmer should leave this 500m from the finish line to overtake or let overtake. The 500m mark will be marked by a buoy! This Code will not be reviewed or punished. However, for reasons of fairness, everyone is encouraged to abide by this code of honor.